Examples, solutions, and videos to help GCSE Maths students learn how to factorise algebraic expression by taking out the highest common factor or greatest common factor. The following diagram shows how to factor the greatest common factor from a polynomial. 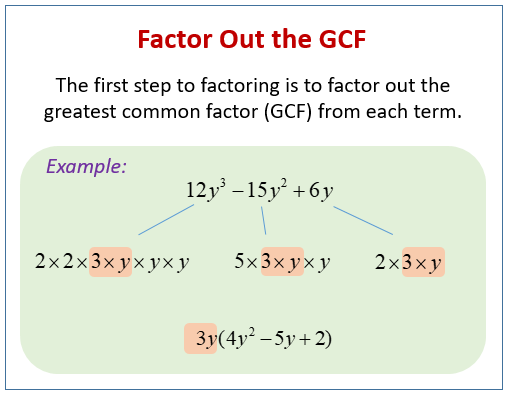 Scroll down the page for more examples and solutions of factoring the GCF. How to factor the greatest common factor (gcf) from a polynomial? How to take out a common factor from an algebraic expression?